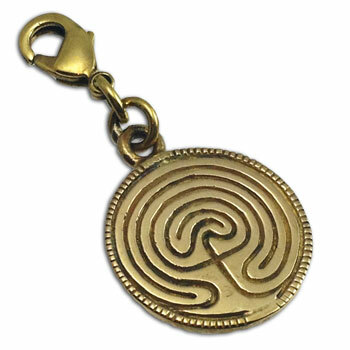 Tiny labyrinth charm made of recycled brass, gold tone. Labyrinths are sacred symbols dating back thousands of years. They have been and are used as meditation tools throughout many cultures.